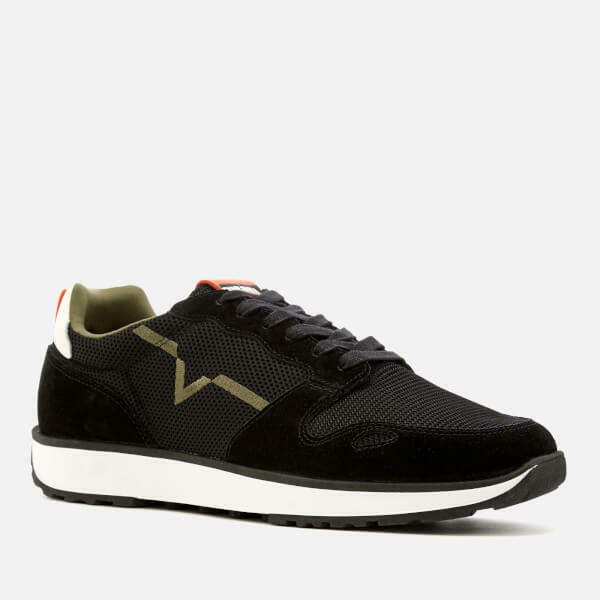 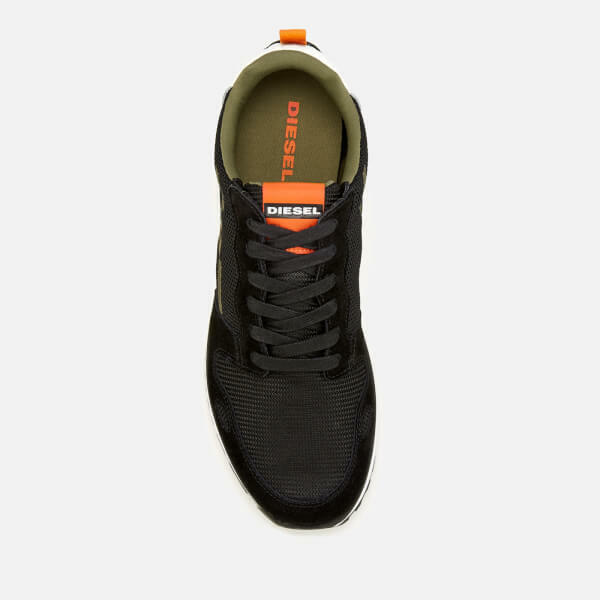 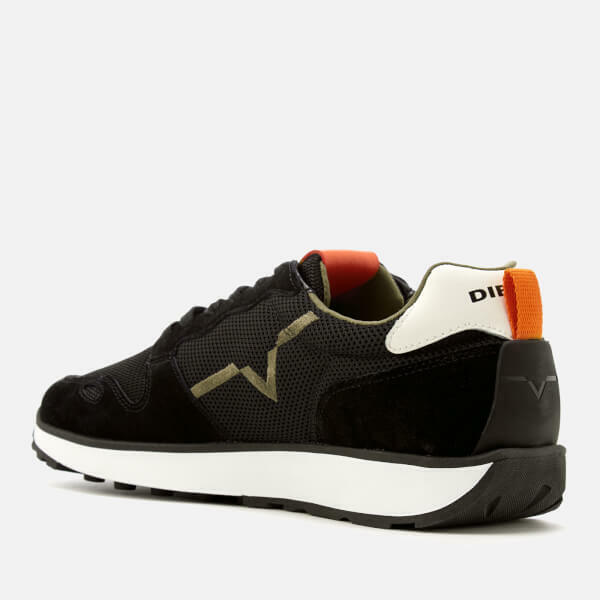 Men’s ‘RV Runner’ trainers from Diesel. 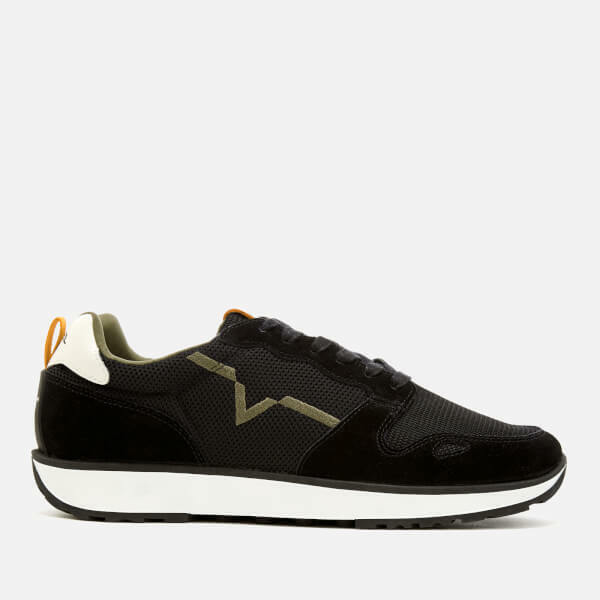 The low tops comprise a suede and textile upper with lace-up fastening and a contrasting stitched V-shaped logo at the side. 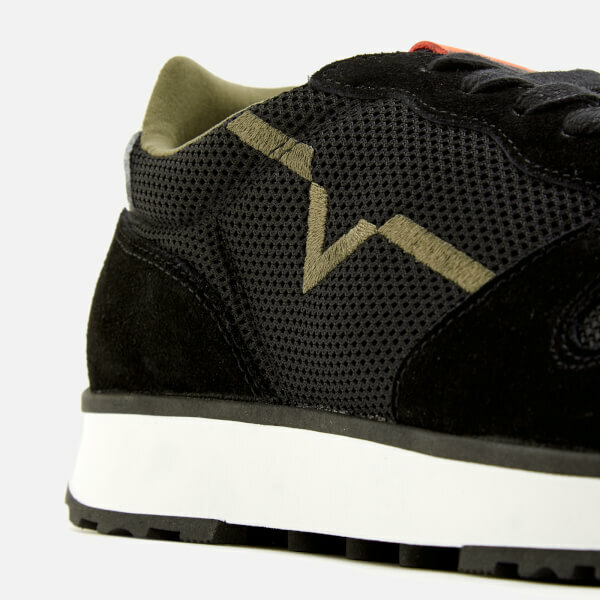 A pull tab at the rear offers easy entry, while additional branding appears at the heel and tongue. 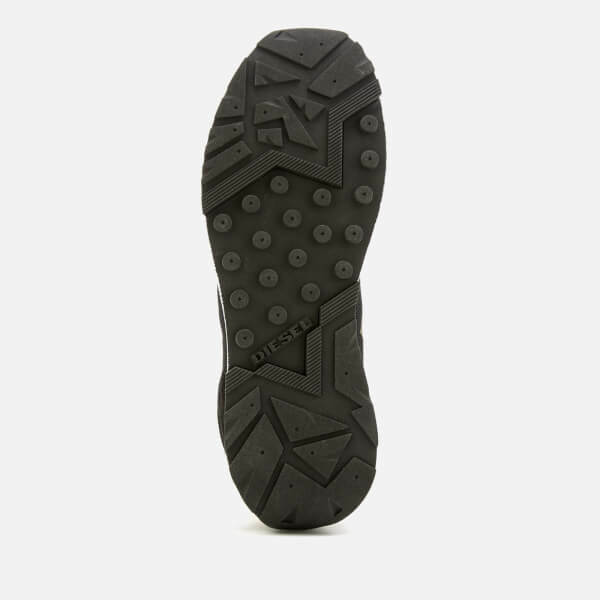 The rubber sole provides superior cushioning and comfort, whether during sporting activities or casual wear.